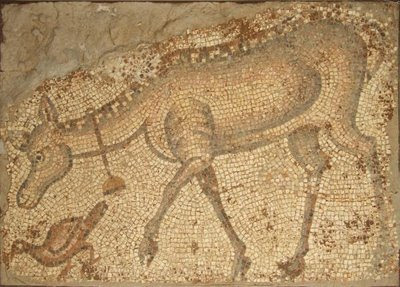 "The site where the theatre of Antioch was believed to be located was thoroughly explored by an extensive excavation which revealed a rebuilt structure of the Byzantine period (possibly fifth century, but more likely sixth, after the earthquake of 526 A.D.). It had an arena, podium and cavea, but there was no stage building. The structure has been provisionally identified as a stadium". He debunks the idea that this was a theatre and cites this error to the Guide Bleu. However, he does not elaborate where this structure (the stadium) is. 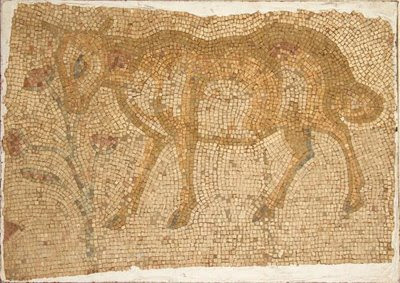 There was a so-called Byzantine Stadium found on the Island, but it did not have nearly as much complexity as the building Campbell describes. We shall start this post and apologise in advance for vagueness in the details. This structure was discovered in 1934 and reported by William Campbell in the writeup in the AJA of Jan-March 1936. Our task now will be to find if this ever advanced to any more examination of became one of those projects mouldering in the basement in Princeton. 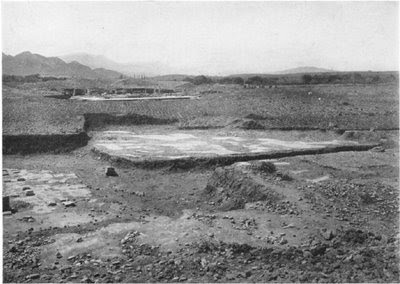 "In the northeast section of the ancient city, not far from the Gate of Saint Paul, the excavation of another large monument was begun. The work was hampered by seepage from springs along the foot of Mount Stauris nearby, but we succeeded in reaching the floor level of the original building in the area explored. This is in an apse with a square exterior constructed of large, finely dressed blocks of native limestone, set dry without clamps; behind it is a pavement of heavy slabs of limestone. The rebuilding of the superstructure and the stratification above the remains gave an unusually clear history of the site from the early Empire through the Middle Ages. There are evidences of minor repairs throughout the Imperial period and of a very severe destruction, probably caused by the earthquake of 526; and of a later reconstruction, both in brick work and in masonry, characteristic of the reign of Justinian. Soon afterward a great holocaust left the place a ruin for all time, and one may ascribe this fire to the invasion of Chosroes, who put the city to fire and sword. In the Middle Ages the apse was used as a pottery kiln for glazed ware, and finally the district became cultivated land." This sounds rather like the building that Hugh Kennedy links to the "imperial" baths (F). 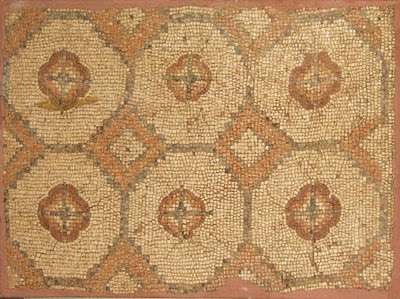 Antioch, as we have noted, is particularly devoid of extant traces. Even without identifiable ruins usually one can come across half buried inscriptions to conjure up some sort of image of a disappeared city. In the case of the former metropolis of Antioch, the absence is particularly embarrassing. The great 19th century chronicler of the Roman Provinces, Theodor Mommsen, made the comment that Antioch has less extant inscriptions than the most insignificant African or Arab village. 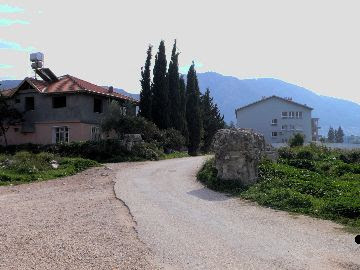 Ironically, Antakya was little more than an Arab village when he made the comment but we have all come to regrte the veracity of his observation. This posting is going to be less thematic than most and shall serve as a dumping ground for miscellaneous incsriptions that I stumble upon. It shall be added to in a purely haphazard fashion..
Philippe Berger communique un mémoire de M. Perdrizet sur une inscription grecque d'Antioche. M. Perdrizet a pu en restituer le texte, qui est celui, cité par Lucien, d'un oracle en vers, rendu par Alexandre d'Abronotichos, oracle qui obtint un succès prodigieux et qui fut gravi sur toutes les portes pour préserver les maisons de la peste : "Phoebus à la chevelure vierge écarte le nuage de la peste". 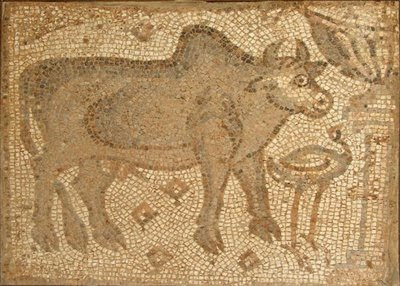 Yet another example of the power of superstition in Ancient Antioch. 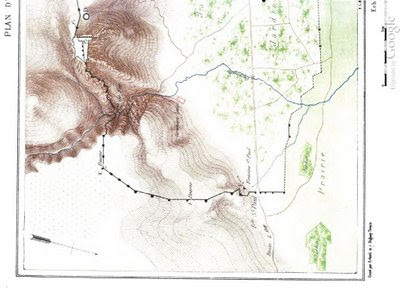 On a visit in October 1892, Perdrizet came upon the following inscription on the property of Elias Chami. It was on a large limestone slab. He comments that it shows, in relief, a bearded man half extended on a bed holding in one hand some flowers and in the other a vase. Beneath all this is a garland of flowers. The word at the end of the second line (and start of the third) implies a connection to Daphne while another example of Graecised Latin occurs with the reference to the circus at the start of the fourth line. 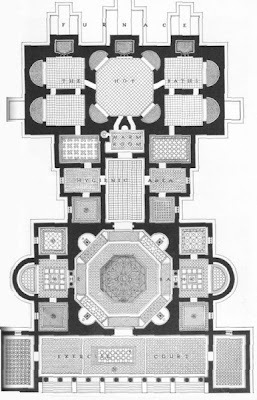 This was described as being located in the courtyard of a Catholic convent. It was a stone that had previously been lodged in the wall of the stage of the theatre "intacte a droite". 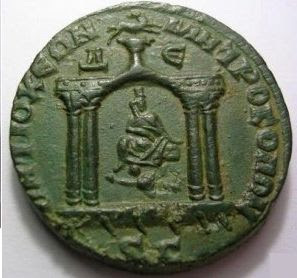 His translation into Latin is given at the right and refers to an unnamed functionary who had been quaestor, probably around AD 18-19, to the ill-fated Germanicus (who was murdered in Antioch by "witchcraft") and this functionary was later a legate of the Emperor Tiberius. The fate of this stone would be interesting to discover as it would seem to be the only inscription from the theatre to have survived until "recent" times. His last offering is an inscription on the rock through which the water conduit from Daphne had been dug, however at the eastern end of the city near the Gate of Saint Paul above the ruins of the convent of St Paul and St Peter. 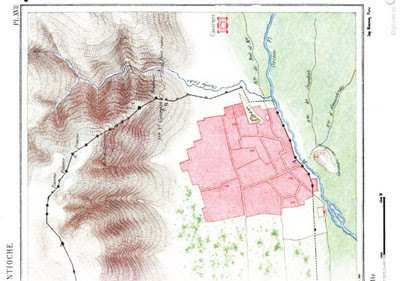 He states that it is also in the neighbourhood of the "deux grandes figures rupestres".. one of which would seem to be the Charonion. In this case also he only converts the text into lowercase Greek. This map shows the position of the towers on the wall. 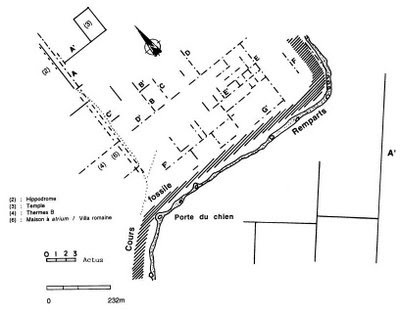 It also shows two springs (including that of "Olympias" at the Beroea Gate). It is intesting to note that the St George's Gate is not in line with the Colonnaded Street (or its predecessor). How this gate came to be the principal egress to the southwest instead of the Daphne/Cherubim gate is not something we have ever seen explained. Neither have we seen any image of the St George's Gate before its demolition. The famed Cherubim Gate was, supposedly, where the Colonnaded Street arrived at the the inner wall. 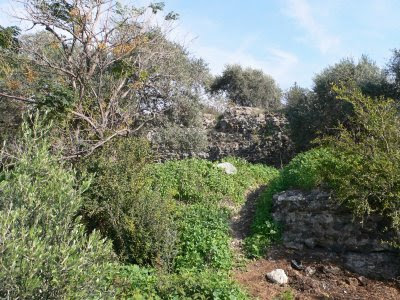 It was in line with the Daphne Gate on the outer (Theodosian) wall. 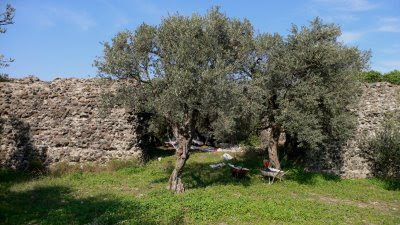 Originally the Cherubim Gate was the main gate in the southern wall until Theodosius II decided to enclose the burgeoning suburb that had sprung up outside between the wall Tiberius built and the course of the Phryminus watercourse. We have seen reference to a "Golden" Gate but its not clear if that was the alternative name for the outer or inner gate. Downey wrote an extensive essay on the Cherubim gate in the Jewish Quarterly review. The Cherubim themselves and their transfer was the subject of a seldom quoted 1961 note by W. L. Duliere in the admittedly obscure journal, Zeitschrift fur Religions- und Geistesgeschichte. Both of these authors relied upon two historical sources. These sources were Malalas (and a mirror version in the Chronicon Paschale.. which may have just used the same source material) and the other was the biographer of Saint Symeon Stylites. The first accounts (Malalas/Chronicon) are just a relation of the history of the gate while the hagiographic version talks about visions and a demonic struggle entered into by the saint in the vicinity of the "wall" of the Cherubim. 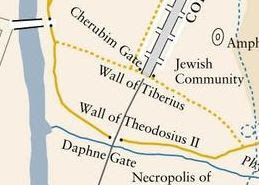 The gate was located near the Jewish quarter (see Wilber's map above) and it was reputed that Titus had erected the Cherubim (or copies thereof) looted from the Temple in Jerusalem "before" the gate, hence its name. Its location is still undefined. The Cherubim were angel-like figures (it is believed) that were affixed to the top of the Ark of the Covenant (see artistic rendering above) in which the tablets that Moses brought down from the mountain were kept. The Book of Exodus 25:18-20 describes their creation: "And you shall make two cherubim of gold; of hammered work you shall make them at the two ends of the mercy seat. Make one cherub at one end, and the other cherub at the other end; you shall make the cherubim at the two ends of it of one piece with the mercy seat. "And the cherubim shall stretch out their wings above, covering the mercy seat with their wings, and they shall face one another; the faces of the cherubim shall be toward the mercy seat". 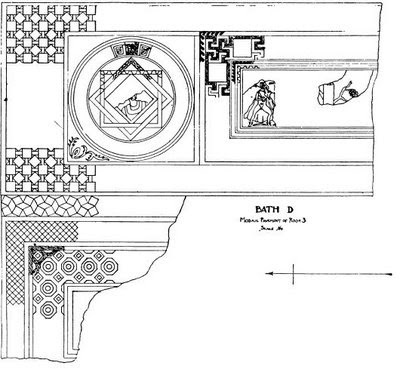 The original Ark was lost and a new one was not created for the Herodian Third Temple. Some scholars see a connection between these figures and the enormous winged figures at decorated Assyrian palaces at Nineveh and elsewhere. As is well-known the Jewish War ended in 70 AD with the fall of Jerusalem, the sack of the city, the dispersal of the populace and the destruction of the Third Temple built by Herod. The Roman victors carried off the spoils. 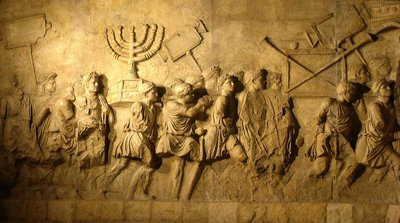 The Menorah, the Table of Shewbread (both of gold) and the Temple trumpets are amongst the booty displayed in the triumphal procession shown in a relief (shown below) of the Arch of Titus in the Forum in Rome. 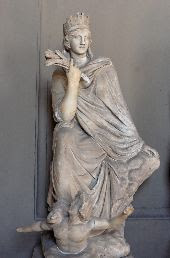 The Malalas version relates that "Titus, having celebrated a triumph for his victory, departed for Rome; and Vespasian from the Jewish spoils built in Antioch the Great the so-called Cherubim before the gate of the city. For there he fixed the bronze Cherubim which he found found fixed in the Temple of Solomon; and when he destroyed the Temple he took them thence and carried them to Antioch with the Seraphim, celebrating the triumph for the victory over the Jews which had taken place in his reign, setting up above a bronze statue in honour of the Moon with four bulls facing Jerusalem, for he had taken it at night when the moon was shining." Here the Cherubim are set "before the gate" not upon it. What the Seraphim are is not clear... and the Moon and bulls grouping is rather garbled. In the Stylites tale (written after 592 AD), the biographer relates that a devil made a vistation to the city. 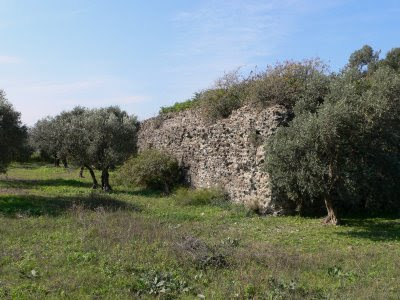 Downey reports this as: "the Destroyer went to the gate which is at the south [of the city], which leads out toward Daphne, and there arose from the so-called Cherubim, and as far as the Rhodion, in all the quarter which is called Kerateia, a great cry, and weeping, and much lamentation...". The text elsewhere suggests that the Cherubim may have been on a section of "the old wall" (i.e. 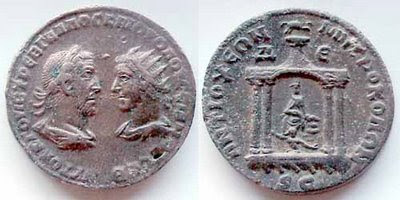 that of Tiberius). This leaves us wondering if the Cherubim was a sculpture in the round or maybe a relief. 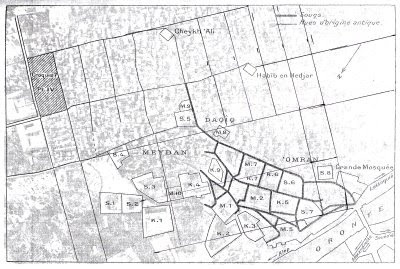 The passage is also interesting because it mentions the Kerateia quarter (supposedly the main Jewish quarter) and the Rhodion. Whether the latter was a building or the district in which the settlers from Rhodes (back at the time of the city's founding) had based themslves is not clear. 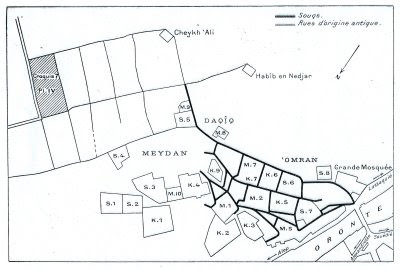 The Kerateion quarter is mentioned in Malalas in relation to the burning of the city by Chosroes as one of the parts of the city that survived relatively intact. 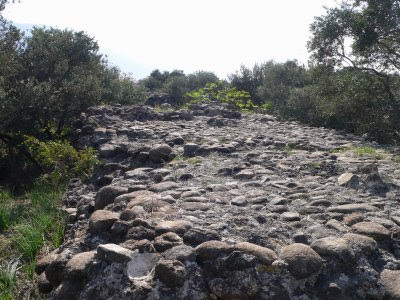 So what were these Cherubim in Antioch? 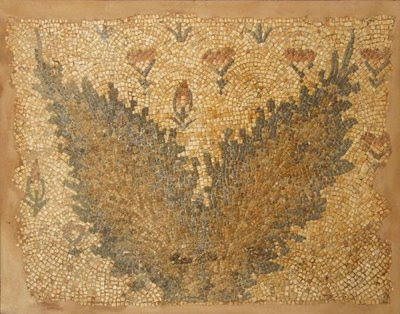 The original ones had been olive wood covered with gold but the Antioch version were supposedly of bronze. Downey does not feel that these were in the Holy of Holies of the Temple (which was empty anyway) but in one of the courts outside the main sanctuary. Clearly if they did not have to be carried as part of the Ark then they could have expanded significantly in size. Certainly if they were too small they would scarcely have been worth naming the gate after. We know that the Beroea Gate was a sizable structure so presumably the Cherubim gate mirrored the other gate. 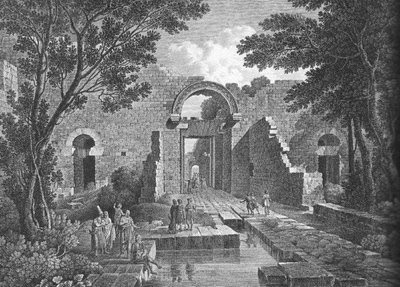 Giving egress to the busy road to Daphne and down to the port of Seleucia it must have been equally as grand. If set atop the gate the Cherubim grouping might have been a large sculptural piece indeed. Downey engages in some discussion as to why the Cherubim should have gone to Antioch while the other Temple accoutrements went to Rome. For a start the artifacts on the Arch of Titus were made of gold and while not pocket-sized they were relatively portable. The size of the Cherubim is not known, but they may have been too unwieldy to figure in the Triumph. They were also made only of copper or bronze if the reports can be believed so thus did not have the same "meltdown value" as the other loot. (The Menorah and Table were not melted down though but deposited in the Temple of Peace in Rome and stayed there for hundreds of years until carried off by the Vandals, and later reportedly rescued and moved to Constantinople). Why Antioch? Both authors posit that the Cherubim were installed on the gate in the city wall less for their artistic contribution but to stand as an ongoing reminder to the large and sometimes fractious Jewish population in Antioch that Rome was in charge. They could alternatively have been sent to Alexandria to serve the same purpose but it might have been too inflammatory a gesture there where the Jewish population made up 25% or more of the population. 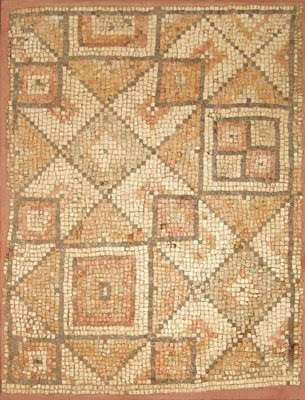 In Antioch the Jewish population had been troublesome in the more recent past and yet only measured by most accounts around 10% of the population. 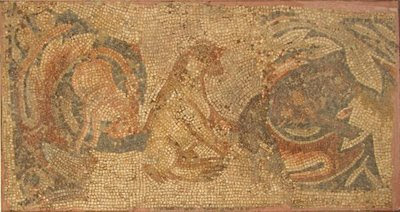 Installing the Cherubim in the Kerataion district was seen by both recent authors as an affront to the local population. This however is speaking in hindsight and without any contemporary Jewish comment on the reaction to the artefact being installed to support it. We do not know the real answer. In some ways it may have been comforting to know that the last surviving "souvenir" of the Temple was in close proximity. I would add a thought that has long intrigued me, even before coming to the subject of Antioch, and that is how prohibition against "graven images" (so specifically outlawed in the Commandments) meshed with the Cherubim and other representations in the Temple (like the calves that supported the Sea of Bronze, which bring uncomfortable parallels with the Golden Calf) and the images that scholars have noted on the base of Menorah (see image above on Titus's Arch). Iconoclasm in Jewish law did not obviously extend to some of the decoration of the Temple itself. Ironically, we have seen a suggestion that it was with the arrival of the Arabs in Antioch in the 600s that the Cherubim "image" may finally have been destroyed because they took the prohibition against images more seriously than those who had controlled the city beforehand.